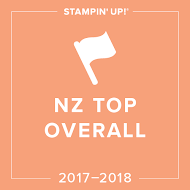 It is the last day of Stampin' Up! 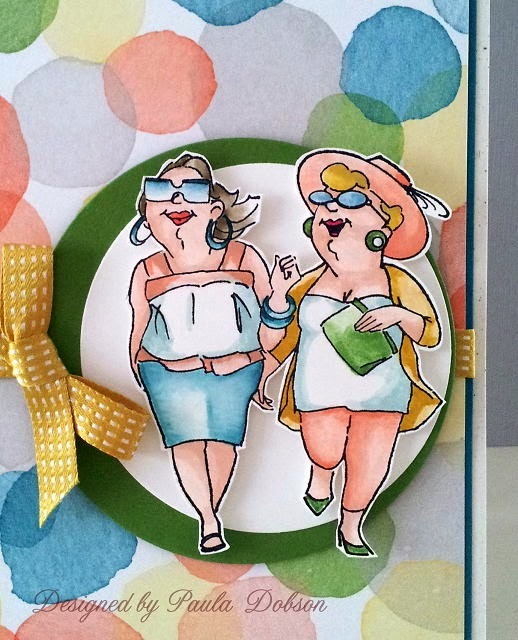 's South Pacific Convention in Melbourne and I wanted to share the second card swap I created for this event. While both of my swaps are sponged, this is my favourite, since it also shows a scene. The image panel actually has seven different ink colours on it and I love the way they meld into one another. It is hard to tell where one stops and the next begins. I have also put such contrasting colours together for the base, mats and ribbon, but I think it works well. What do you think? I can't wait to share some of the swaps I received in return when I get home on Monday. I am sure I will have a few stories to share too! 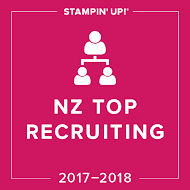 One of the joys of the Stampin' Up! South Pacific Convention is swapping card designs with fellow demonstrators from New Zealand and Australia. 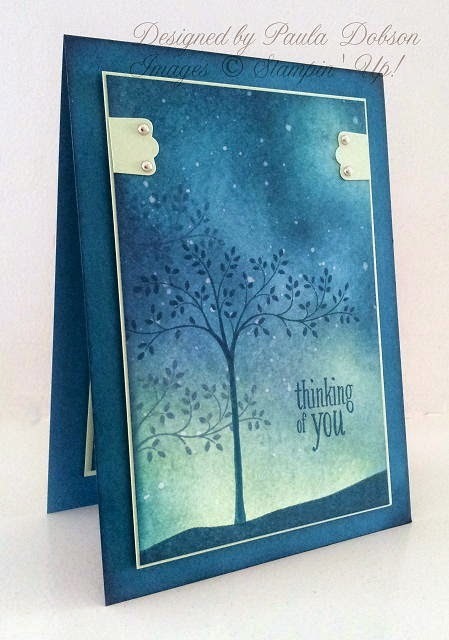 The card designs can be quite simple or really elaborate, you never know what you are going to get. This is the first of two designs I made for this convention. 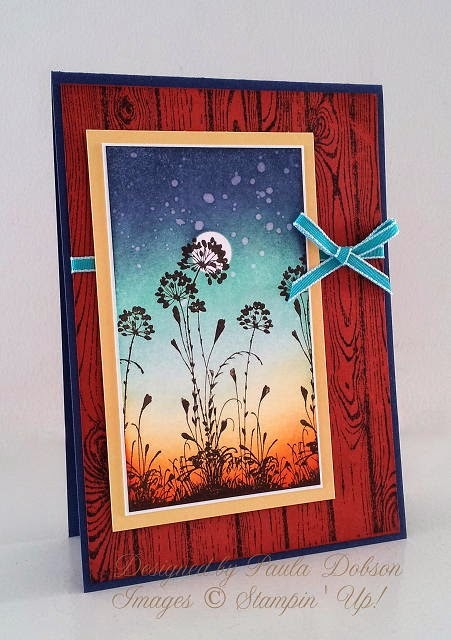 I include a card recipe so the recipient knows what products I used and I have also included a brief tutorial on how I achieved the background look. If you make ten swaps, you will receive ten different swaps in return. This is a great way to end up with samples of product you may not have yourself. It means I don't need to buy everything in the catalogue! If you belong to my Techniques Class in Wellington, Levin or Wanganui, then you will also learn how I did this! Why are so many people born between May and August?? What happened nine months prior that was so special, lol?? I am in desperate need of quite a few Birthday cards and I chose to use watercolouring on this card. Those of you who watercolour know that this process can take some time. 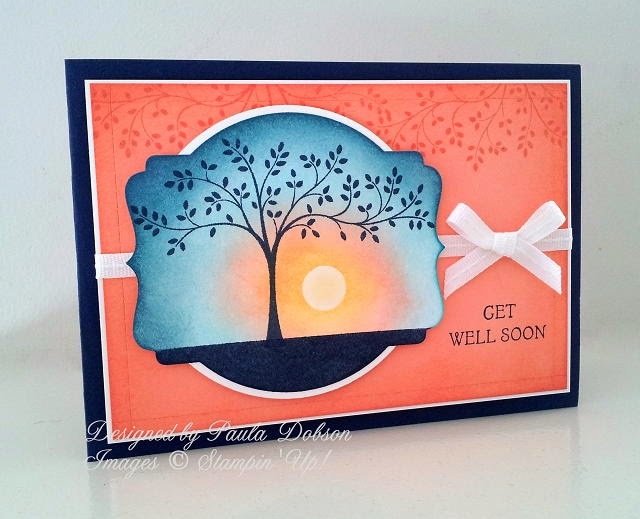 I am delighted with the watercolour look I achieved on this card. I am by no means an artist, but stamps and an Aqua Painter do make the process a lot easier! 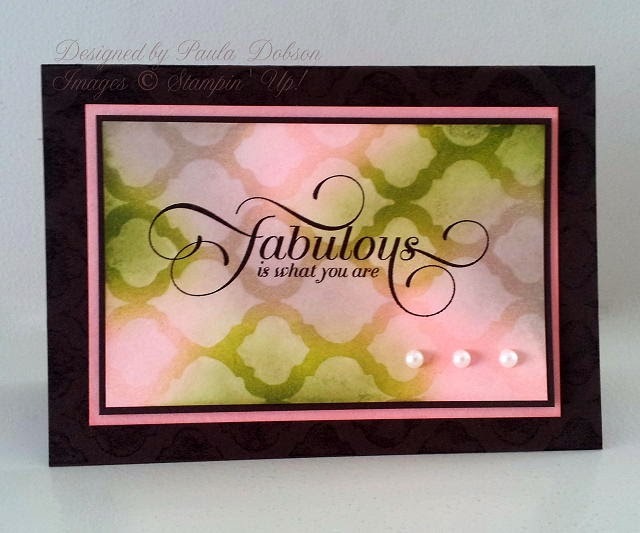 I haven't put any embellishments on this card because of the very glitzy accent I used on the side of the artwork. It shimmers and shines beautifully IRL, but very hard to capture with the camera. 1. 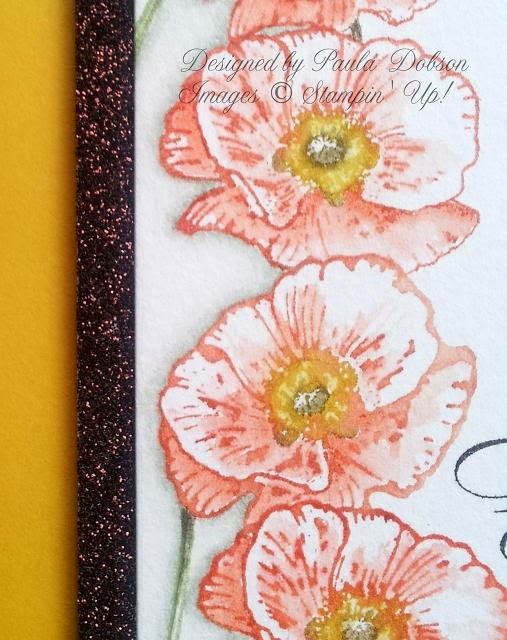 Used my Stampin' Write markers to colour my Poppy image from the Happy Watercolor stamp set. 2. Spritzed the stamp lightly with water before stamping the image on SU's Watercolour paper. 3. Masked the image just stamped with a post-it-note and repeated steps 1-3 along the entire side. 4. Used an Aqua Painter to "pull" the ink colour the paper from the edges of the image. Spritzing the stamp with water first helps the ink spread naturally when you stamp. How much it spreads will depend on how wet your stamp is. I head to Auckland tomorrow to begin my 2014 Convention trip to Melbourne. I am starting to get super excited to be involved in such an amazing, invigorating event. It is something I look forward to every year. 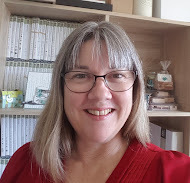 Follow me on Facebook to keep up to date. 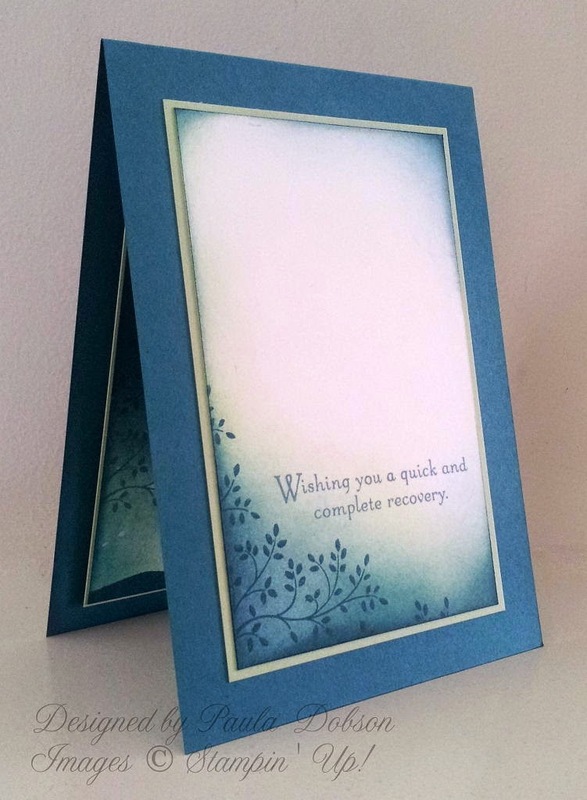 I shared THIS card a few posts ago and mentioned that I was working on a couple of Get Well cards to add to my stash, since I never seem to have them when I want one. This is the second card I made that day. It features a stamp set called Thoughts & Prayers, which I have been resisting for quite some time! I finally caved and added it to my ever expanding stash. 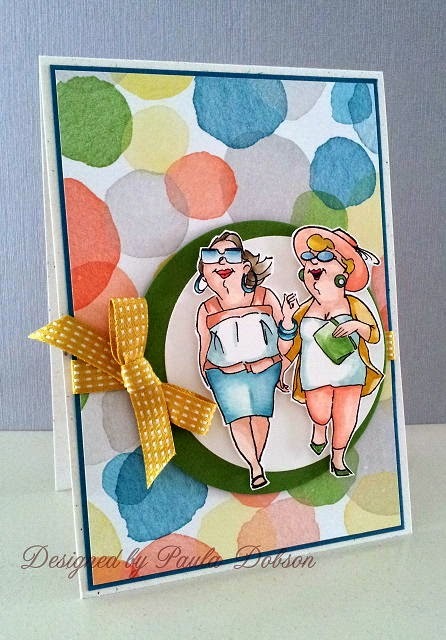 Oh, we have a fun challenge for you this week at Just Add Ink - a sketch challenge with a slant! I wanted to keep the colour combination simple, so I chose the Fresh Prints Paper Stack again, and made the chevron piece my background. 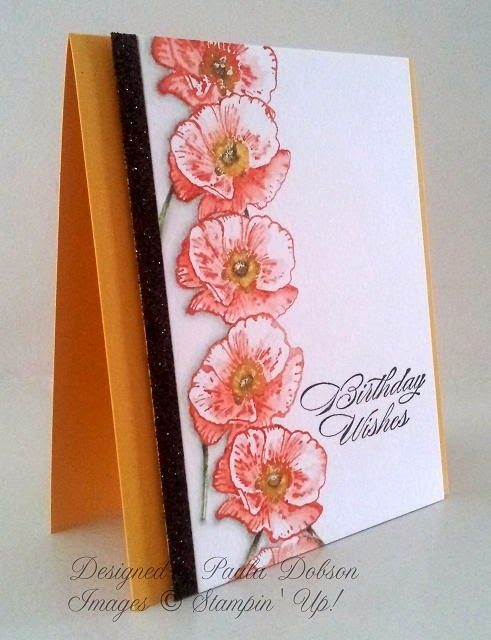 I love the slant design and wanted to make that the feature of the card, so I kept the stamping and embellishing to a minimum. I defined the white panels with Real Red and then popped them on Dimensionals for more interest. I also made my own Enamel Dots and I love how shiny they look on the card. 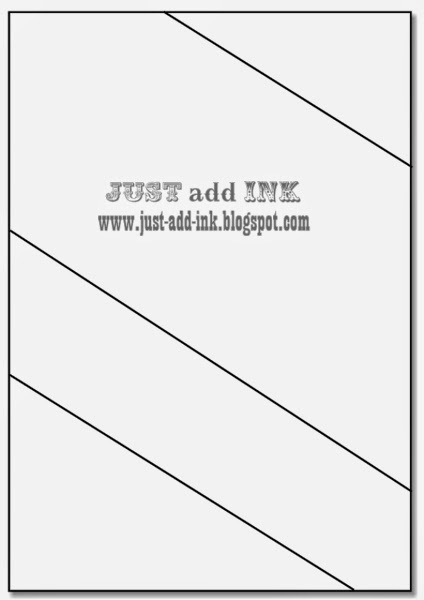 I hope you will join us at Just Add Ink this week and add your own "slant" to our challenge! Head over there now to see the clever designs the rest of the DT have created. To make the dots: Just punch out small circles of card stock in your chosen colour, and load Crystal Effects on top of the circles. Make sure you use a non stick surface to put them on, such as the SU Silcone Sheet. Leave them over night. Adhere to your project when completely dry with Mini Glue Dots. 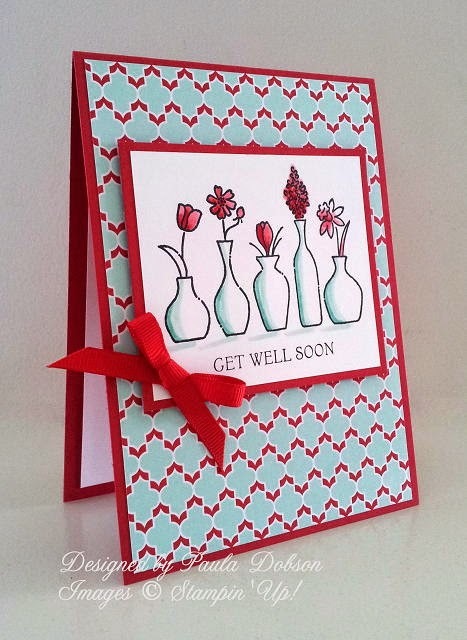 For some reason or another, I hardly ever make Get Well cards, really only when I need them. While having a "play" day a while back, I thought I would get a couple made that I could put in my stash for a rainy day. I wanted something that was fairly quick and easy, first off. I choose a sheet of DSP from the Fresh Prints Paper Stack as my background, and only used the colours in that to watercolour the Vivid Vases image. 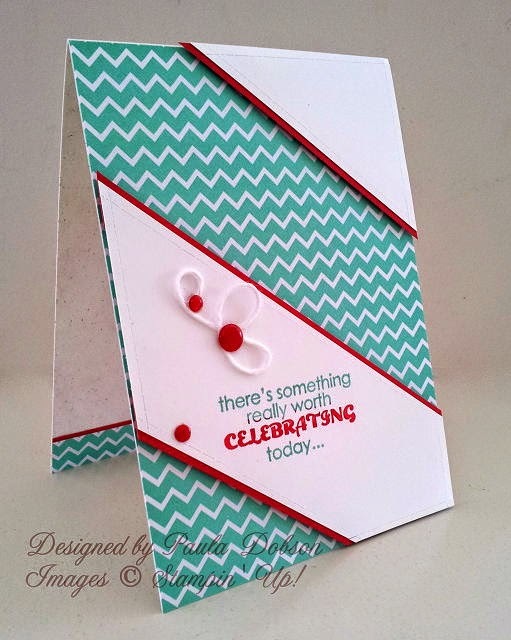 My card base, mats and ribbon were all the same Real Red colour, which keeps it simple, but also adds punch. 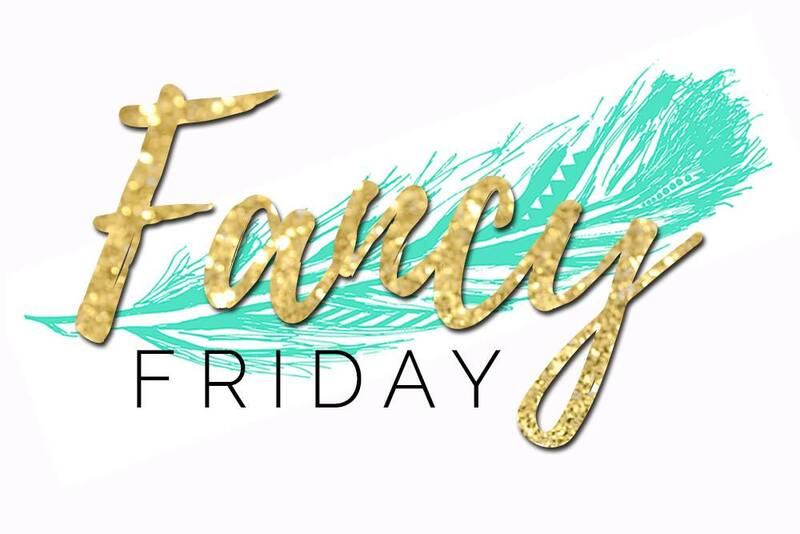 All product is Stampin' Up! Just visit my Online Store to purchase any of the items used.